Summary: this article explains what independent sixth-form colleges are and what makes their approach to education effective. Independent sixth-form colleges in the UK have a distinctive history. The earliest were established in the early 20th Century to prepare students for Oxbridge and for officer-level entry to the armed forces. These were the original 'crammers'. Following the Second World War more colleges, specialising in A level and O level teaching, surfaced and became better known as 'tutorial colleges'. Those gradually evolved into today's sixth-form colleges. Now independent sixth-form colleges are much in demand from UK and international students seeking high-quality, examination-focused teaching. These points are explained in more detail below. Just click on the + at the start of the orange boxes to show more information. Click - to close the box. How do independent sixth-form colleges differ from schools? Insdependent sixth-form colleges tend to offer a wider range of subjects and greater flexibility in subject choice than traditional schools. Most allow students any combination of subjects and there are commonly over forty A level subjects to choose from. Unusual subject combinations such as Accounting, Psychology and History, can be accommodated more readily and joining a college for the second year of A level is often possible. At most colleges you will also find one-year courses (which cover the whole A level in three terms) and retake courses (both short-term and one-year). Many encourage and support their more able students to take the Extended Project Qualification (EPQ). Although the majority of students take A levels, most independent sixth-form colleges run equally flexible GCSE courses, usually offering more creative subjects such as Photography alongside the main-stream ones. Again, the choice of subjects is generally greater than that offered by schools. One-year GCSE courses are often available, as are standard two-year courses. The sixth-form college environment is famous for being more relaxed and less rule-driven than at school, with no uniform requirements and a generally-held philosophy that “students should be treated as adults rather than as children”. Nevertheless, pastoral and academic support is of a high standard. Colleges succeed in balancing authority with liberty by guiding students without dictating to them. This approach enables students to grow in confidence without compromising their well-being. As well as A-level and GCSE courses, some independent sixth-form colleges offer one-year University Foundation courses, designed specifically for overseas students, as an alternative for university entrance. Scottish colleges, as you would expect, tend to offer SQA courses. Most also run EFL programmes, usually leading to internationally recognised qualifications, such as IELTS. Some offer preparation for SATS for US university entrance. As yet, no independent sixth-form colleges offer the Cambridge Pre-U, and the International Baccalaureate is not widely available. The colleges can be useful for short courses unavailable at most schools, such as intensive Easter Revision courses, in which a number have very many years of experience. 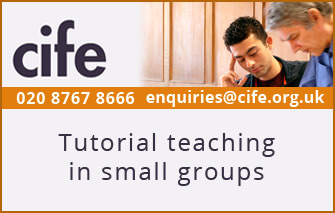 In independent sixth-form colleges small classes are the norm even at GCSE level. This is especially true in less common subjects, such as Geology, Philosophy, Italian, and Classical Greek. An average of just six students per sixth-form class produces an atmosphere similar to that of a university tutorial where all are encouraged to debate topics and to participate actively. As a former college principal, headmaster and ISI inspector, I have observed hundreds, if not thousands, of lessons taught in prep schools, senior schools and sixth-form colleges. This gamut of lessons has ranged from unsatisfactory (occasionally) to outstanding. As far as the independent sixth-form colleges are concerned, I have frequently seen what I believe are some of the best A-Level teachers in the business, who would be equally comfortable teaching in top academic schools. Of course, as all good teachers do everywhere, they display great enthusiasm and passion for their subject and communicate effectively their impressive subject knowledge. However, these college tutors seem to have two added advantages. First, they are able to specialise in their subject at a particular level for a particular syllabus throughout their whole teaching timetable, thus acquiring a specific expertise (for example, one college had a Maths tutor who only taught A level Further Mathematics). Second, the informal, relaxed nature of the independent sixth-form college’s small-group environment enables tutors to quickly establish and maintain a highly productive working relationship with students. In terms of teaching resources, as you will discover for yourself if you make a visit, all the reputable colleges have well-equipped science laboratories, IT equipment, libraries, and where such subjects are offered, art, music, drama, film and media studies facilities, etc. As far as UCAS advice is concerned, independent sixth-form college tutors know the examination and university entrance systems inside-out and pride themselves on keeping up-to-date on the latest admissions requirements. Some colleges run very sophisticated and targeted programmes of support for students applying for challenging university courses. These include specialist Medical Sciences programmes, with guest lectures from medical admission tutors, and tailor-made courses for potential Oxbridge, Medical, Dental and Veterinary students. Many also offer Study Skills and work experience programmes. Most independent sixth-form colleges offer a wide range of sporting and non-sporting opportunities. So, if sport is important to you, colleges will encourage you to continue with it, and will help to make that happen, either via their own teams or through good links with local clubs and leisure centres. A quick glance at the colleges’ websites will give you a good idea of the range of leisure activities on offer. Schemes such as the Duke of Edinburgh’s Award and the Young Enterprise programme are also often available. 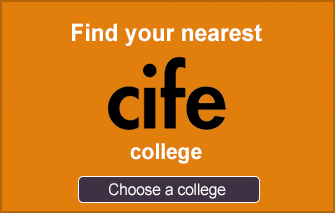 Why consider an independent sixth-form college? Students choose sixth-form colleges in the independent sector for diverse reasons, but seem united by their ambition to get the best education and the best preparation they can before moving on to university. Often students who make a change after GCSEs feel that they have outgrown the traditional school ethos and are looking for a better transition to the less regulated environment encountered at university. In recent years there have been growing numbers following traditional two-year A-level courses at independent colleges. Some others want to make a fresh start for their upper-sixth year after starting the sixth form elsewhere (approximately 10% of the annual intake of colleges are students who have spent their lower-sixth year in another school). Appropriate courses are available to them, which often revitalise a student’s prospects. Famously these colleges are the specialists in retake courses and the best have a remarkably consistent record for impressive grade improvement. Some colleges have also discovered a small but growing trend for IB students to “retake” their subjects as A levels in one year. As well as ‘home’ students, you will find students from overseas who are preparing themselves for UK universities by first doing A levels, or possibly a university foundation course, in this country. They are usually very hard-working, very focused on their academic prospects and often incredibly able. At the annual CIFE Academic Awards Presentation held at the House of Lords in March 2015, the Gold Award winner, Cliff Chung Cho Fung from Hong Kong, achieved A* in four of his A Level subjects – Biology, Chemistry, Maths and Psychology, with grade A in every unit and full marks in 14 out of 22 papers. He also gained grade A in Chinese. Overall, this sector, which prides itself on its ability to get students into higher education, has been booming over the past few years, helped in no small part by the increasing demand for ever higher grades required for university entry. All reputable colleges will expect you to visit for an interview. If that’s impossible most can assess you via reports and references, etc. Interviews are not meant to be stressful, but provide the best way for the college to find out what you’ve done, what your hopes are, and to work out with you the best pattern of courses. Take along your most recent school reports and examples of your written work to give college staff an insight into the stage you have reached. Colleges will offer you a place if they think that they can provide what you need. Independent sixth-form colleges rely entirely on student fees to provide the high staffing levels required for small groups and individual attention. They are, therefore, by no means cheap. Colleges mostly charge according to the number, type and duration of courses taken, so the variety of possible combinations make it difficult here to give an accurate general fee. In terms of comparison, the annual fees for GCSE and A-level courses are generally in line with those of a good senior independent school. Some colleges offer financial help and each college will have its own criteria for awarding bursaries and scholarships. You are likely to have to prove that you have exceptional academic promise and financial hardship. You should apply to the college of your choice as early in the preceding academic year as you can. Finding the right college depends on the type of person you are and what you need. Each college has its own unique atmosphere and to know which one will best suit you can only really be judged by visiting the college and meeting the staff there. However, the colleges with a good reputation rely to a large extent on word-of-mouth referrals from previous students, so asking around amongst friends and older students who have actually been to a sixth-form college is probably the best way to start your research. Most colleges give detailed exam results and university entry success information on their websites and all the good ones will be happy to answer your questions about grades achieved and student destinations. 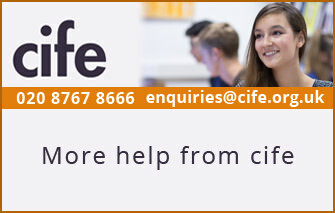 Have a look at Questions to ask CIFE colleges for advice on finding the best independent sixth-form college for your interests and needs. All reputable colleges are inspected regularly by at least one of the following national bodies: the Independent Schools Inspectorate (ISI), the Office for Standards in Education (OFSTED) or the British Accreditation Council (BAC). Latest inspection reports can be found on their websites at www.isi.net, www.ofsted.gov.uk and www.the-bac.org. 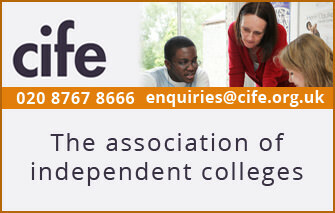 Many of the best colleges are members of the Council for Independent Education (CIFE). 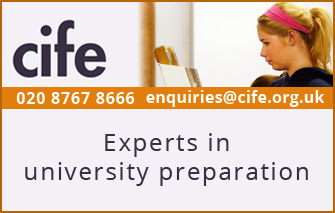 CIFE is a long-standing professional association of independent sixth-form colleges. The sixth-form colleges, once a poor relation of the independent sector, have established themselves as reliable and successful providers of pre-university education. If you are a senior school pupil who wants a fresh start this type of college is ideally equipped to provide it and may offer the very opportunity you are looking for. This article was written by James Wardrobe for 'The Independent Schools Guide' published by Gabbitas Education. 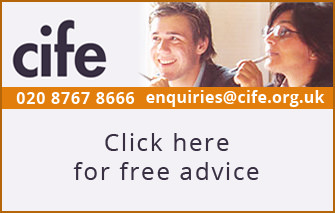 James is a CIFE representative and Director of Highfield School. He was formerly Head of Classics and Housemaster at Highfield School, Liphook (1972 - 1980), Principal of Lansdowne College (1981 -1990), Headmaster of the Hellenic College of London (1990 - 2004) and was an ISI Inspector between l994 to 2004.